Working mums and dads say they’d be happy to throw their job in for one with less pay if it was more family-friendly, new research shows. And while both parents are happy to take a pay cut for more flexible working arrangements, it seems mums are the biggest worry-warts when it comes to the kids. The study of 1000 working parents for online nanny service Juggle Street found that while women generally work less hours than men, they spend more time thinking or stressing about and dealing with their children’s needs on the job. Even so, dads think worrying about the family has a greater impact on their own productivity at work. 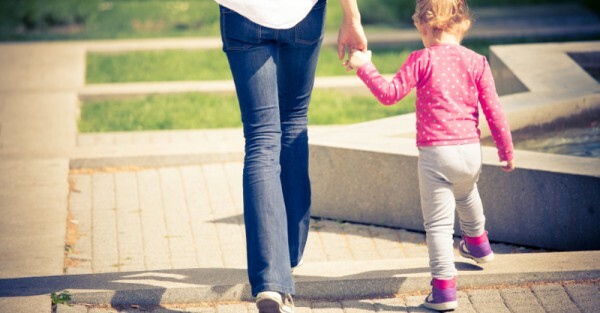 “It’s no secret that working and trying to raise a family is a huge balancing act, but unfortunately it has become the norm for the majority of Australian families,” says Juggle Street chief executive David James. The report also reveals that stressing about family issues at work costs Australian employers $12.64 billion each year. Planning and dealing with family issues at the office cost another $5.68 billion and arriving late, leaving early – or both – due to family issues cost employers $2.44 billion. Carer and ‘sickies’ due to family issues cost $3.15 billion. The study found that more than half of parents aged under 34 years feel they had been overlooked for a work promotion or new responsibilities due to commitments with their children. More than 70 per cent of parents took up to 10 days carer’s leave in the past 12 months – a mix of fake sickies or official carer’s leave – to deal with child-related issues. More than 60 per cent of parents say they had missed out on at least $10,000 in lost earnings over the past year due to managing their children’s needs, and 11 per cent say they have missed out on $50,000 or more. Even so, almost half say they would opt for slightly lower pay in a new job if it were more flexible. To help you stress less, read our post about why working mums should ditch the guilt.